Usher is an R&B singer who is perhaps as famous for his good looks as he is for his dance moves. His self-titled debut album was released in 1994, but his breakthrough didn't come until his second album, My Way. Released in 1997, the album contained his first song to peak at #1 on the Billboard Hot 100, Nice & Slow. The album also contained two further singles, You Make Me Wanna and My Way, both of which peaked at #2. His third album, 8701, was released in 2001. It contained the hit singles, You Remind Me and U Got It Bad, both of which peaked at #1 on the Billboard Hot 100, with the former also netting him a Grammy for Best R&B Vocal Performance Male in 2002, his first ever win. He would win again the following year in that same category, for his song, U Don't Have To Call, the third single from the 8701 album. His fourth album, Confessions, was released in 2004. It sold more than 1 million copies in its first week of release, and would go on to sell more than 8 million copies that year. Often considered his most endearing work, the album produced four singles that all peaked at #1 on the Billboard Hot 100, Yeah!, Burn, Confessions Part II and My Boo. It also received eight nominations at the 47th Grammy Awards, including one for Album of the Year, but only won three awards, Best Contemporary R&B Album, Best Rap/Sung Collaboration and Best R&B Performance by a Duo or Group. His fifth album, Here I Stand, was released in 2008. It contained the hit single, Love in This Club, which peaked at #1 on the Billboard Hot 100. His sixth album, Raymond v. Raymond, was released in 2010. 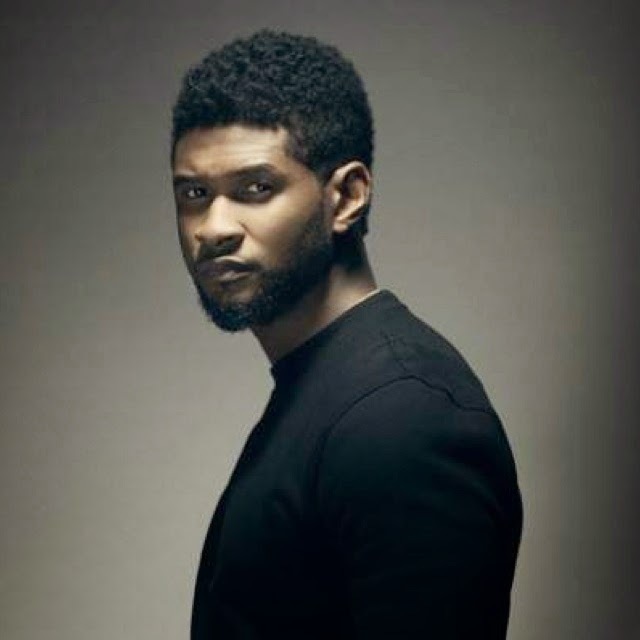 It produced the #1 hit, OMG, marking Usher's ninth #1 hit on the Billboard Hot 100, as well as making him the first artist to achieve that peak from releases between five consecutive albums. He released a follow-up EP called Versus that same year, and it contained the top five hit, DJ Got Us Fallin' in Love. His seventh album, Looking 4 Myself, was released in 2012, and it marked a significant shift from previous albums, making it his most experimental. It included contributions from the likes of Empire of the Sun and Swedish House Mafia, and he managed to incorporate their sound into his music without losing sight of his R&B foundation. This is most evident in the album's first single, Climax, a song that scored him his most recent Grammy for Best R&B Performance at the 2013 ceremony. DJ got us falling in love again.. This song got me familiar with Usher! And till date, I like most of Usher's songs.. To name a few: Without U and Scream.. He's had a really successful career so far. With probably many more years to come. That's right. I'm curious to know he fares in the years to come. He irritates me as a person (I stopped watching The Voice when he joined the cast) but he does have some very catchy songs. Really? LOL. That's interesting. Then again, I don't watch The Voice, so I have gotten to know him on a more personal level. I love Usher and have to say that I am partial to Confessions. That's probably my favorite out of everything he's done so far. By the way, this is a great picture of him too! Glad you like it, Jaybird. Confessions was him at the prime of his R&B game, no doubt, even though I am myself partial to the more experimental Looking 4 Myself album. "Without U" instantly became one of my favorite-ever songs. Have loved Usher's song since I heard 'my way'. I'm a big fan.